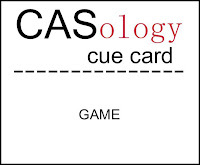 This week's CASology Cue Card is Game! 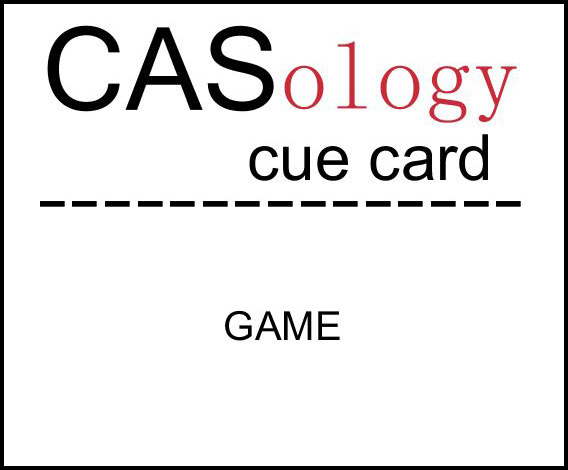 One of the tricky things about CAS cards is the need for precision. When there's not much on the card front, accurate placement and clean, crisp stamping are a must! Placement can be tricky - even with clear stamps. One of my favourite tricks is to draw lines on the card front in pencil, to help me place the stamps in the correct spots. Once the ink is dry (this is important, people, don't ask me how I know!) you can erase the pencil lines. For wooden stamps, a stamp positioner (or stampamajig) can help! There are a ton of 'Scrabble'-like stamps and embellishments out there right now - this tile stamp is from Gina K's Lots of Letters (not sure why she put lower case letters in that set, even though I do like the font), so the capital letters I used are from The Stamps of Life Basics4ABCs. The heart is cut from Stampin' Up's Red Glimmer paper using a Sweet'n'Sassy die. Now it's your turn to play the game! Link your creation to CASology by Sunday at 4:00 pm (CST). But first, don't forget to drop by the blogs of the other design team members to see what they've done with this Cue Card! Great Scrabble letters Ardyth I bet these are so versa'tile' (groan) You are correct, Misog's is the misery's and chazzing is slang for charity shopping. 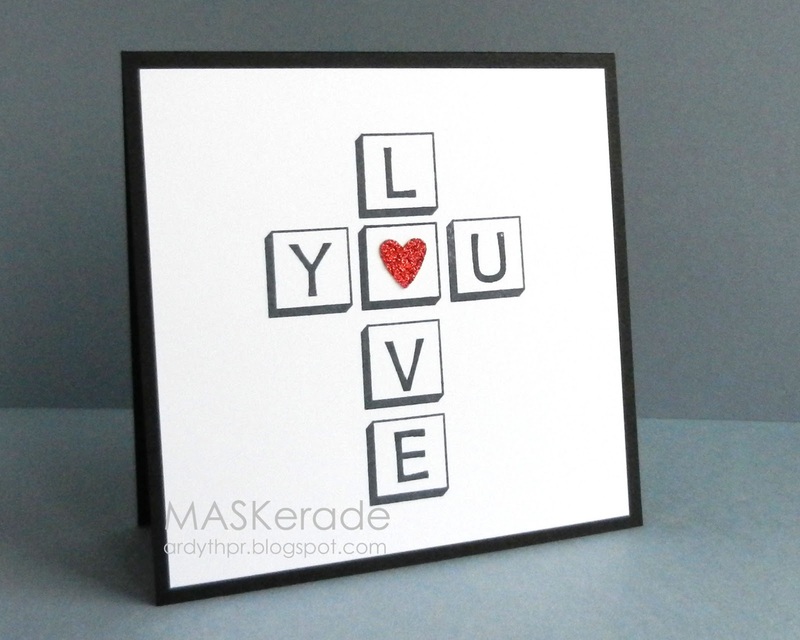 Great card - love the tile letters and the sweet glittery heart! you have done it, again, ardyth... your card is perfection! Perfect T - A - K - E on the cue card and I think your word is worth more points too! You definitely have mastered the art of precision! And I love the glittery heart! This is so cute! The heart just pops against the black and white background! I really like how both you and Jen took the cue and turned them into valentine/love cards. This is so perfectly CAS! When I saw this challenge, I was really challenged! I think this is so clever! Love that glimmery heart in the center! As always, Ardyth, a very clever take on the cue word ~ perfect stamping! What a fun Scrabble-inspired card! Your precision is amazing...thanks for the tips!